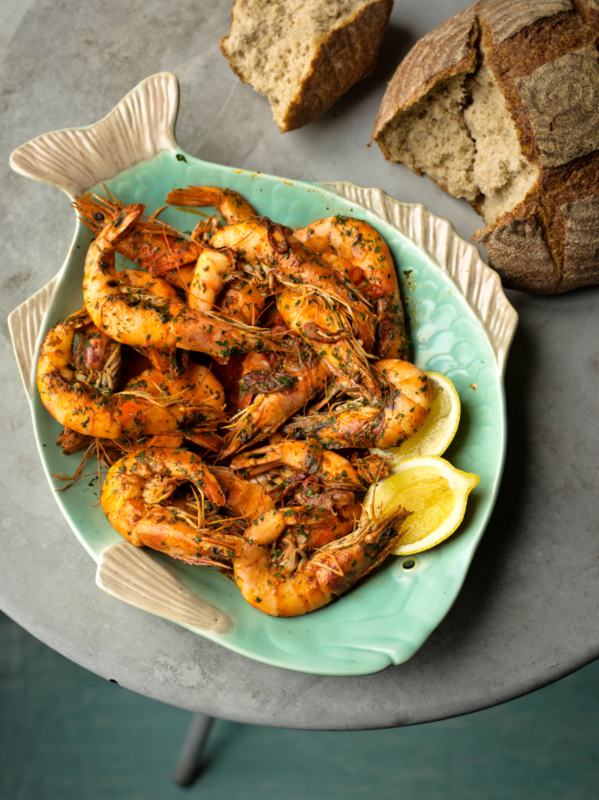 These remind me of our hot summers in Benahavis, pre Billie, sunbathing all day and sitting on the terrace in our favourite restaurant in the evenings, eating these prawns and drinking gallons of rioja... heaven! Heat the oil in a frying pan and fry the garlic, chilli and paprika for just under I minute or until the garlic starts to brown. Add the prawns and cook for 2-3 minutes until they have turned pink. Squeeze over the lemon juice, add the parsley and season. Serve with extra lemon wedges and crusty bread to mop up all the deeelicious juices!